Posted April 12, 2011 by William Martin & filed under Headlines. The BBC have issued two new promotional stills for Doctor Who‘s Series 6 premiere, ahead of the show’s return later this month. 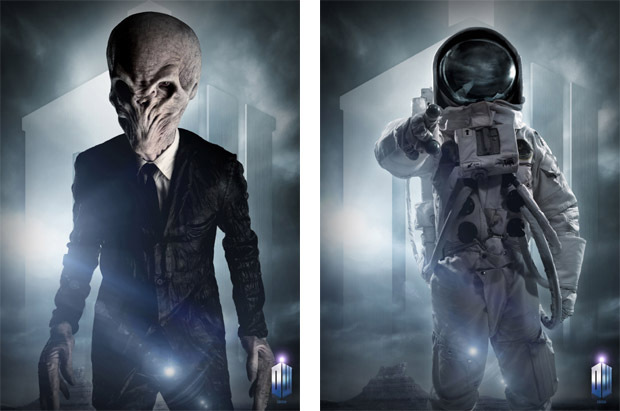 The images show ‘The Silence’ and ‘The Astronaut’. Series 6 kicks off with ‘The Impossible Astronaut’ on Saturday 23rd April on BBC One. A press launch for the new series took place in London on Monday. Official episode synopses for the two episodes were issued by the BBC last week.